Let’s start with the easy stuff. Here’s what you are looking at when you edit something this important. It sounds complicated, but it is easy as pie. You will have up to three developmental edits. Each time, the story gets better and tighter and more coherent. 2. Copy edit — this is where you take a look at spelling, grammar, punctuation, word choice, sentences, paragraphs. It is more mechanical and less message. 3. Proofread — this is where you make sure that the punctuation is perfect and the words are all spelled correctly. It is the last look. This is where a lot of CEOs get in trouble. They start editing when they finish the first sentence. Blast through the document. Get it on paper and then go back and edit. Do not edit on the fly. Remember what we said back here? Maybe you go read this again? You will be tempted as a CEO to share your new child with strangers, worse friends, DO NOT DO THAT. First, self-edit. If you must, hire a professional editor. In fact, I recommend hiring a professional editor. That is what the Big Red Car does on other things. When you think you have gotten the developmental edits right, then you can show it to someone you trust who has similar experience, but who is not a member of your inner sanctum, not your spouse, not your mother, not your best friend from college, and not someone from yoga. When you are finished with the developmental edits, copy edit, proofread — then, you can begin to get feedback internally, not before. Take one more look at this and then you are ready to write. Please go do this — get your first draft of Strategy done. I am begging you. Can you imagine how righteous you will feel when you finish? Ahh, the feeling is great, like eating a kale salad with a green goddess smoothie. You, dear CEO, after you finish your first draft of your Strategy. 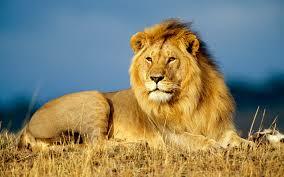 Strong, confident, King of your Jungle. You can do this. If you have a problem getting started — still? — ping me and I will give you a hand. Know this — your competition is not having that problem and they intend to eat out of your chili bowl tonight. But, hey, what the Hell do I really know anyway? I’m just a Big Red Car. Have a great productive day. This entry was posted in CEO, strategy and tagged CEO, editing, entrepreneur, founder, startup, strategy. Bookmark the permalink. Nobody writes a perfect first draft of Strategy, so you have to edit it. Here’s how you organize that effort.